London: Britons rushing to sign up to vote in the EU referendum crashed the registration website, prompting warnings on Wednesday that thousands of pro-EU younger voters may have been blocked. 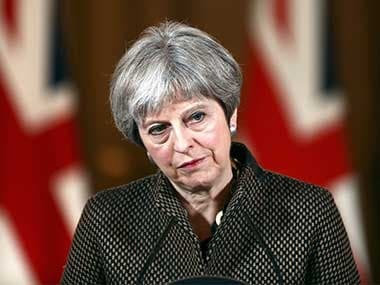 The surge in requests came after a tense TV faceoff between Prime Minister David Cameron and anti-EU leader Nigel Farage in the runup to the 23 June vote. The Electoral Commission, which oversees election procedures, urged a change in the law so that citizens thwarted by the crash could register to vote. The government said it was "urgently considering" options. "It is vital that everyone who wants to participate in this historic referendum is able to," the commission said in a statement. Pro-EU campaigners said many younger people, who polls show tend to support a "Remain" vote, had left it to the last minute to register before Tuesday's midnight deadline. Around 132,000 of the 525,000 people who did successfully register on Tuesday were aged under 25, compared to around 13,000 from the 65- to 74-year-old age group. Tim Farron, leader of the pro-EU Liberal Democrats, Britain's fourth-biggest party, called for a one-day extension. "This is a shambles the government has presided over and people must be given an extra day to exercise their democratic right," he said. Farron said the crash was a "major blow to the 'In' campaign". "Evidence shows younger people are overwhelmingly pro-European, and if they are disenfranchised it could cost us our place in Europe." Requests surged after an ITV programme in which Cameron fended off hostile questions about high immigration rates of EU workers while Farage was forced to defend himself against charges of racism. 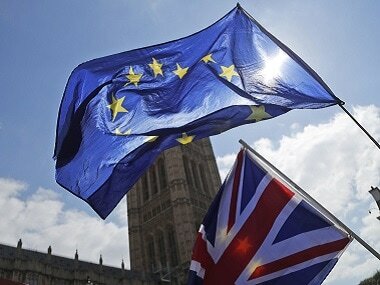 The debate has intensified long-held euroscepticism in Britain but a major survey on Tuesday showed it was not alone. The Pew Research Center survey said opposition to the EU has also increased in traditionally more positive countries -- with a 17-point drop in EU support to 38 percent in France, for example, over a single year. In the 10 countries surveyed, only Greek voters, forced by the EU and international lenders to adopt a harsh austerity programme, are more upset with Brussels than the French. The Union is still supported among newer members, with 72 percent of Poles and 61 percent of Hungarians expressing a favorable view, compared to only 27 percent of Greeks. In Britain, it found 48 percent of voters were unfavourable to Europe and 44 percent were in favour. The WhatUKThinks website's average of the last six domestic opinion polls puts the "Remain" camp is on 51 percent and the "Leave" campaign on 49 percent. 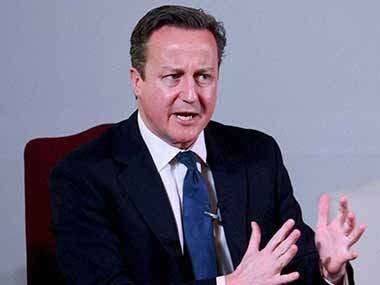 Cameron faced UK Independence Party leader Farage in a TV grilling late Tuesday in which the prime minister argued that remaining in the EU was the "British thing to do". Cameron faced repeated questions from the audience on high immigration from other EU countries -- the "Leave" side's trump card during the campaign so far. 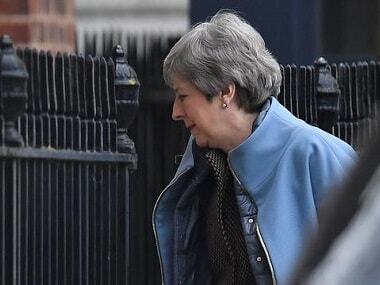 But the Conservative leader attacked what he called Farage's "little England" vision and said a Leave vote would mean "quitting, and I don't think we're quitters". Warning that Brexit could lead to Scotland leaving the UK, he said: "You don't strengthen your country by leading to its break-up." Scotland's governing secessionist Scottish National Party has said Britain voting to leave the EU, while a majority of Scots voted to stay in, would trigger a second referendum on independence. However, a TNS survey of 1,008 Scottish voters found that in those circumstances, Scots would still not back independence, just as in the September 2014 referendum. 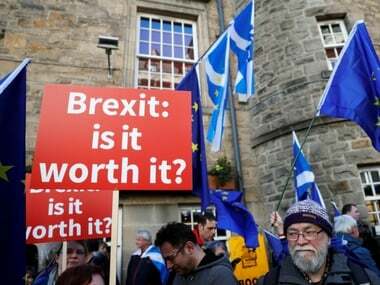 Excluding "don't know" voters, 71 percent of Scots would vote to remain in the EU, but 56 percent would vote to stay in the UK if Britain pulled out of the bloc, the poll found.